Wall to Wall Radio Communications is proud to be working with Fylde Micro Ltd, co founders and current world leader in the design and manufacture of MPT1327 trunked radio networks. Delivering the first ever true MPT1327 system to BT back in 1986 this was installed on the Post Office Tower in London. This was closely followed by the first multi-site trunked radio systems. Today, we work with Fylde Micro Ltd and are successfully utilising networks with a 3rd generation product to meet modern day voice and data communications challenges. 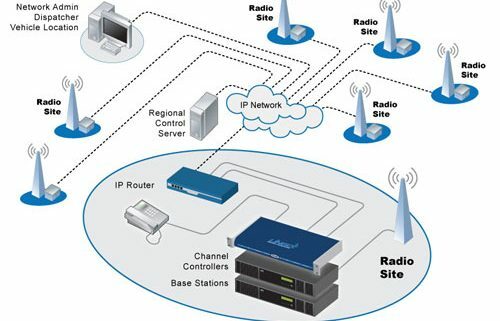 Multi-channel radio systems need to be planned properly if they are to be efficient. This is even more important if the systems include multiple base stations and have a large number of mobile radios as shown in the picture. whether it is essential for groups with their own channel(s) to be able to communicate with groups on other channels, e.g. all-call messages during an emergency. 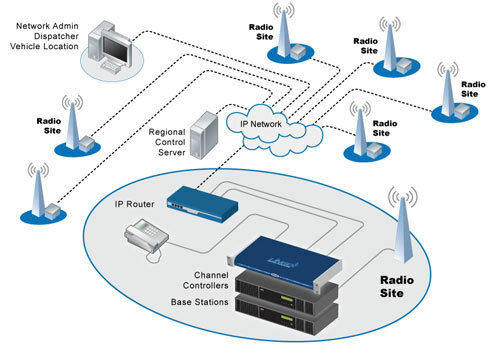 all channels transmit simultaneously when one channel is accessed. a well planned 7-channel trunked system may accommodate 3000 mobiles. Trunked systems can vary in size from on-site to wide-area multi-site. Multi-site systems may be connected using cable, fibre, or microwave links. The control channel frequencies at each site will be different. This enables a mobile radio to automatically establish the strongest, and usually nearest, base station and communicate through it. This method should ensure that the mobile remains within range of the base station for the duration of the call. There are digital system equivalents to the analogue trunked system standard (MPT1327). Wall to Wall Radio Communications will be pleased to discuss your multi-channel radio system requirements and design, install, commission, demonstrate, and maintain the best analogue or digital solution to meet your requirements.